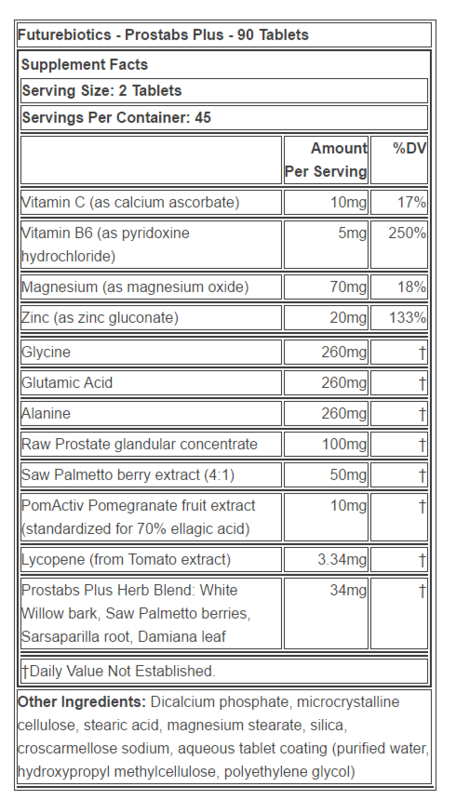 In analyzing countless prostate formulas, we have come across a few that contain Bovine Prostate Gland extract. These products don’t typically score very well on our lab reports primarily because they don’t contain any herbals that are rich in Sterols. Most of the time their scores are terrible. As we are proving with all of our reviews and laboratory testing – knowledge and information is power. Knowing which products work and which are lying about their label claims can help you avoid the scams and rip offs and find good products that can really help you. Prostabs Plus contains only 0.033mg of Sterols per serving. With so many better products out there it is difficult to recommend this product. Take a look at our Top 3 prostate supplements.